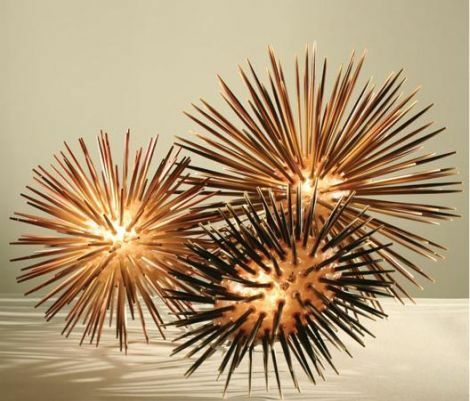 if you enjoy the shapes and textures of the ocean, you might like these sea urchin lights from california company lacor. they are crafted from chopsticks placed in cast resin. see more products and contact lacor on their website.